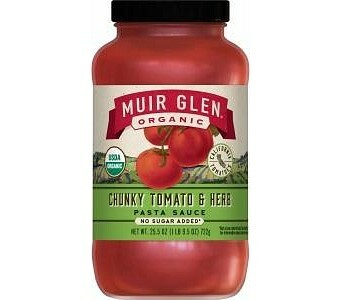 Our premium-quality organic tomatoes and extra-virgin olive oil are only the beginning for this savory sauce. Organic herbs, including garlic, sweet basil, oregano, fennel and thyme, bring out layers of gorgeous flavor. Ingredients: Organic tomato puree (organic tomato paste, water), organic tomatoes in juice, organic onions, naturally milled organic sugar, sea salt, organic extra virgin olive oil, organic sweet basil, naturally derived citric acid, organic garlic, naturally derived calcium chloride, organic oregano, organic black pepper, organic fennel, organic thyme.